Welcome to the Marino Music Website!!! When you want the best in live entertainment Marino Music is ready to help you have a great time and entertain your guests all night long. Experience and flexibility are key when choosing your entertainment and you'll find band leaders Diane and Frank Marino, both seasoned, experienced musicians, dedicated to making sure your special event is everything you want it to be. Both Diane and Frank Marino hail from New York City where each received their degrees in music. They have been performing together for over twenty years and for the past fifteen years they have achieved great success throughout the greater Nashville, Middle Tennessee areas and the Southeastern United States. 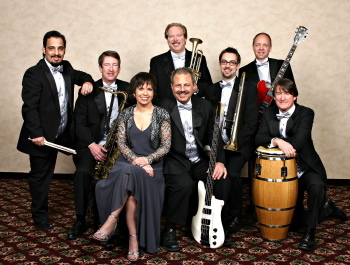 Their various musical groups Good Company, Marino Jazz, and Som Brasileiro - Sounds of Brazil have performed for countless wedding receptions, corporate events, private parties and jazz and music festivals. Diane is a jazz recording artist and her CD’s have received national acclaim. Diane and Frank Marino’s experience, versatility and mastery of all genres of vocal and instrumental music is a tribute to the success of the ensembles that make up… Marino Music. They have a wide variety of music that people from all ages love - music guaranteed to keep everyone on their feet and having fun. Marino Music is available in the greater Nashville area, providing live party music, party theme music, jazz, Brazilian, Latin and classical music for clients throughout all of Middle Tennessee, Tennessee, Kentucky, Georgia, Alabama, North & South Carolina, Virginia and available to travel throughout the US. Our past bride and groom clients are our best advertisement. We play for weddings throughout the North and Southeast, Midwest and West coast of the United States. We're also ready to help you plan your entertainment with tips on selecting your wedding reception and ceremony music. Be sure to visit our Frequently Asked Questions page and don't leave without dropping us a line and letting us know how we can help you, check our availability, or request a price quote. 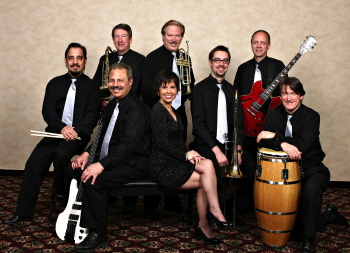 Marino Music is also the choice for corporate events of all types. Gala balls, annual meetings, business events, corporate gatherings. we have done it all. Tell us more about your event, request an appointment to visit with us, or request a quote. We have done it all, from TN Governor Bedesen's Inaugural Ball, Vanderbilt University, Johnson & Johnson, Bank of America, Red Cross of America, and General Motors Corp.
For special events, private parties, family gatherings, Bar Mitzvahs, Bat Mitzvahs, or any occasion where you want the entertainment to be extra special Marino Music has provided top-notch entertainment for over twenty years.